My favourite kind of shopping! 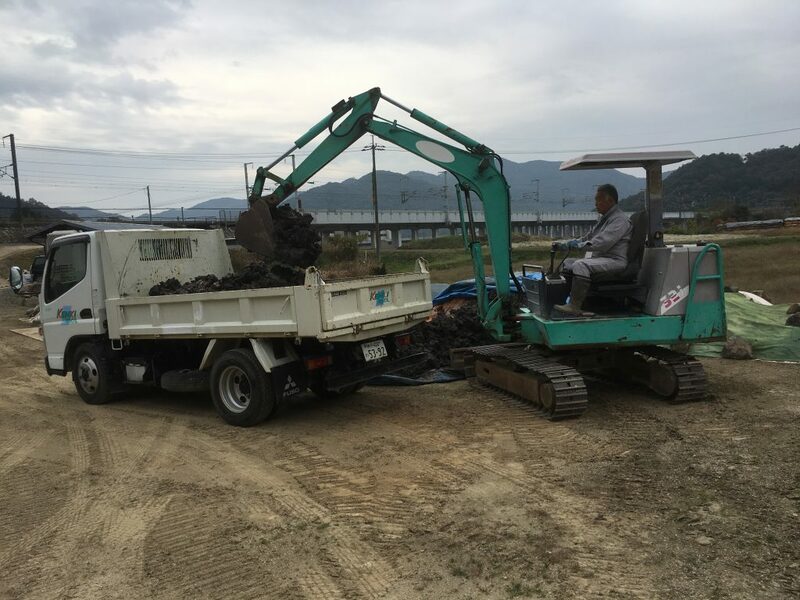 Rented a truck and headed off to Bizen for a three ton load. For those who don’t know this type of clay is dug from under the rice fields in the autumn/winter, usually about 2 or 3 metres below the surface. This particular clay, from an area called Sagarimatsu (underpine!) is very fine,black and very sticky. It gives good colour but is a little weak in the firing on it’s own so I mix in 20-30 % rough yamatsuchi, mountain clay which strengthens it and opens up the body a bit. Clay is a finite resource for me. It doesnt come out of a bag and good clay runs out. Three years ago Mr Sumikawa dug up 100 tons of this and I picked up the last three tons yesterday. All gone now. I’ll try to use it well.